Epoxy users can find out almost anything they need to know about using WEST SYSTEM epoxy through the instructional materials we produce. We frequently update these publications to give you easy access to the latest information on using epoxy for construction and repair. You’ll find these publications filled with explanations and illustrations covering virtually all aspects of marine repair with epoxy. Whether your project involves fiberglass or wood, gelcoat blisters, fairing, teak decks, or installing hardware, Gougeon’s reliable publications offer you solutions. Our basic instructional videos are available on the WEST SYSTEM YouTube page. Check out the video the links listed below. We also offer a 59-minute How-To DVD covering Basic Application Techniques, Fiberglass/Composite Repair and Gelcoat Blister Repair. These are for users who are already familiar with the basics of epoxy use. Recently we revised our most popular instruction manual, Fiberglass Boat Repair & Maintenance, bringing it up to date and expanding it to 146 pages. It contains the very latest fiberglass repair techniques, and features complete sections devoted to repairing cracks, holes, damaged skins, cores, keels and rudders, installing hardware, installing teak veneer decks, gelcoat repair and prevention, and final fairing and finishing. The last section details standard epoxy use and safety procedures. It is followed by appendices on tools, cold temperature bonding and a thorough glossary. Since its initial publication in 1988, this fully illustrated book has helped thousands repair and restore their fiberglass boats. 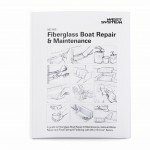 You’ll find the fully illustrated and updated Fiberglass Boat Repair & Maintenance manual easy to use and understand. This softcover manual is available through your local WEST SYSTEM Epoxy dealer or by ordering directly from us at 866-937-8797. Fiberglass Boat Repair & Maintenance is also available as a free download via our WEST SYSTEM website. Wooden Boat Restoration & Repair is an indispensable guide for anyone involved in—or even considering—renovating a wooden boat. It explains how to do professional-grade repairs that can dramatically extend the boat’s life, and discusses techniques for repairing classic and more recently built wooden boats. It also covers wooden boat evaluation; dry rot damage; frame repairs; hull repairs for carvel-planked, lapstrake, plywood and cold molded hulls; teak decks; hardware installation and ventilation. Easily followed instructions are enhanced by detailed drawings, making Wooden Boat Restoration & Repair an essential guide for wooden boat enthusiasts. This 80-page softcover manual is available through your local WEST SYSTEM Epoxy dealer or by ordering directly from us at 866-937-8797. 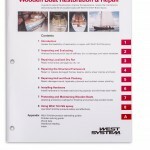 Wooden Boat Restoration & Repair is also available as a free download via our WEST SYSTEM website. The marine epoxy revolution began with Gougeon Brothers in 1969. 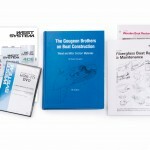 It was further fueled by the first WEST SYSTEM Technical Manual, first published in 1973. This popular handbook was the catalyst for the success of WEST SYSTEM epoxy. This was the manual that allowed us to go beyond providing customers with a strong line of epoxy products, and give them the information they needed for optimum results with these marine-grade adhesives. 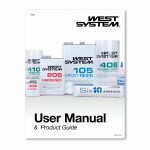 Today, it’s called the WEST SYSTEM User Manual & Product Guide. The name is newer, but using WEST SYSTEM Products most effectively is still what our User Manual & Product Guide is all about. Over the decades it has evolved into a 41-page, full-color publication. It thoroughly covers the basics of epoxy chemistry, all WEST SYSTEM products, epoxy handling and basic epoxy techniques. It also features a handy Problem Solver that addresses common concerns with curing, bonding, sanding, coating, exotherm and storage. Clear instructions, color photographs, and product selection guides round out this indespensible 40-page manual. It’s available through your local WEST SYSTEM Epoxy dealer or by ordering directly from us at 866-937-8797. The WEST SYSTEM User Manual & Product Guide is also available in 18 different languages as a free download via our WEST SYSTEM website. Decades of experience building wit wood and epoxy are compiled in this classic on wood/epoxy boatbuilding. Extensive chapters on lofting, safety, tools and construction methods feature hundreds of detailed illustrations and photographs. This 5th edition includes about 20% new and updated material and a revised layout for easier navigation. 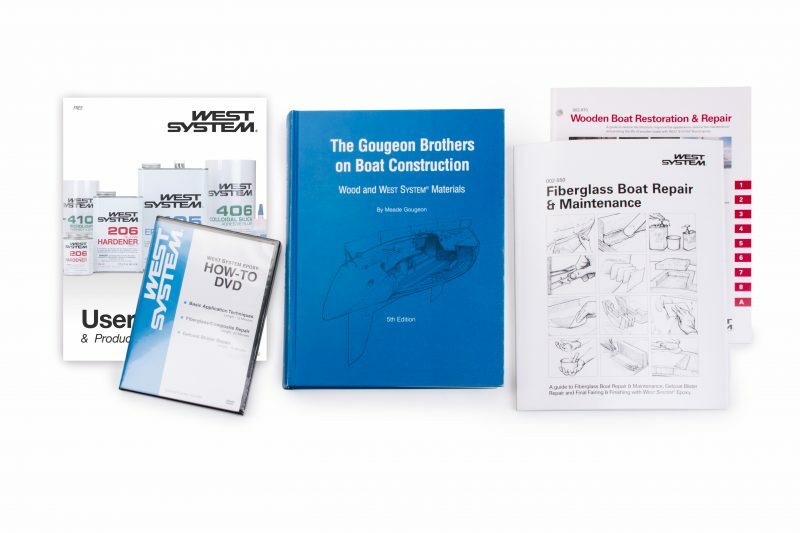 This hardcover book with 406 pages is used as a textbook in boat building schools, The Gougeon Brothers on Boat Construction has over 100,000 copies in print. It’s available through your local WEST SYSTEM Epoxy dealer or by ordering directly from us at 866-937-8797. 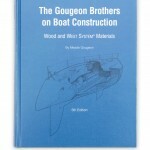 The Gougeon Brothers on Boat Construction is also available as a free download via our WEST SYSTEM website. For beginners and professionals alike, WEST SYSTEM offers a complete line of marine-grade epoxy, fillers, pigments, reinforcing materials, application tools and supplies. These products were developed to meet the building, maintenance and repair needs for fiberglass, wooden, steel and aluminum boats, as well as a vast array of non-marine applications including architecture, home repair & maintenance, land vehicles, aircraft, sculpture, repair of sporting goods, and many hobbies. Weekdays from 9:00 AM to 5:00 PM EST, our in-house Technical Staff is available to answer questions and offer guidance on your specific building or repair project. Call us toll free, 866-937-8797.